Over the past three decades, Daniel Mendelsohn’s essays and reviews have earned him a reputation as ‘our most irresistible literary critic’ (The New York Times). This striking new collection exemplifies the way in which Mendelsohn – a classicist by training who writes extensively for popular publications – uses the classics as a lens to think about urgent contemporary debates. There is much to surprise here. Mendelsohn invokes the automatons featured in Homer’s epics to help explain the AI films Ex Machina and Her, and perceives how Ted Hughes sought redemption by translating a play of Euripides (the ‘bad boy of Athens’) about a wayward husband whose wife returns from the dead. There are essays on Sappho’s sexuality and the feminism of Game of Thrones; on how Virgil’s Aeneid prefigures post-World War II history and why we are still obsessed by the Titanic; on Patrick Leigh Fermor’s final journey, Karl Ove Knausgaard’s autofiction, and the plays of Tom Stoppard, Tennessee Williams, and Noël Coward. The collection ends with a poignant account of the author’s boyhood correspondence with the historical novelist Mary Renault, which inspired his ambition to become a writer. 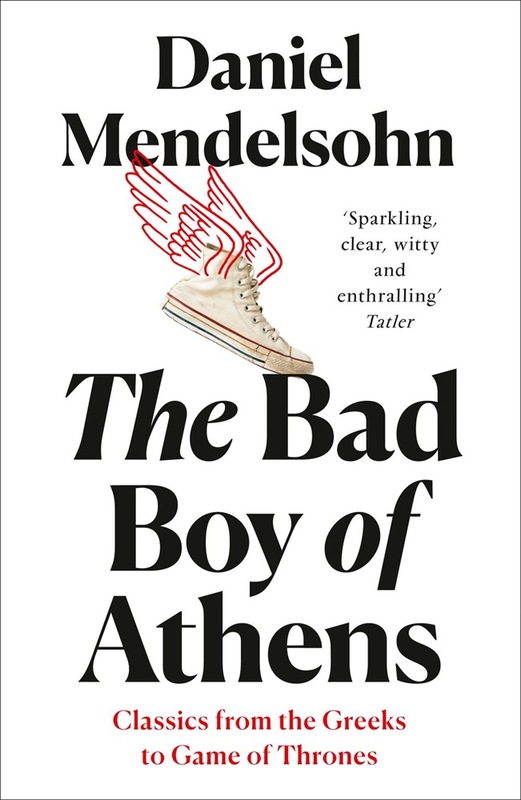 In The Bad Boy of Athens, Mendelsohn provokes and dazzles with erudition, emotion, and tart wit while his essays dance across eras, cultures, and genres. This is a provocative collection which sees today’s master of popular criticism using the ancient past to reach into the very heart of modern culture. Acquista The Bad Boy of Athens: Classics from the Greeks to Game of Thrones in Epub: dopo aver letto l’ebook The Bad Boy of Athens: Classics from the Greeks to Game of Thrones di Daniel Mendelsohn ti invitiamo a lasciarci una Recensione qui sotto: sarà utile agli utenti che non abbiano ancora letto questo libro e che vogliano avere delle opinioni altrui. L’opinione su di un libro è molto soggettiva e per questo leggere eventuali recensioni negative non ci dovrà frenare dall’acquisto, anzi dovrà spingerci ad acquistare il libro in fretta per poter dire la nostra ed eventualmente smentire quanto commentato da altri, contribuendo ad arricchire più possibile i commenti e dare sempre più spunti di confronto al pubblico online.